Flat as a pancake, some bike lanes. 3610 Banbury Drive has a Walk Score of 70 out of 100. This location is Very Walkable so most errands can be accomplished on foot. 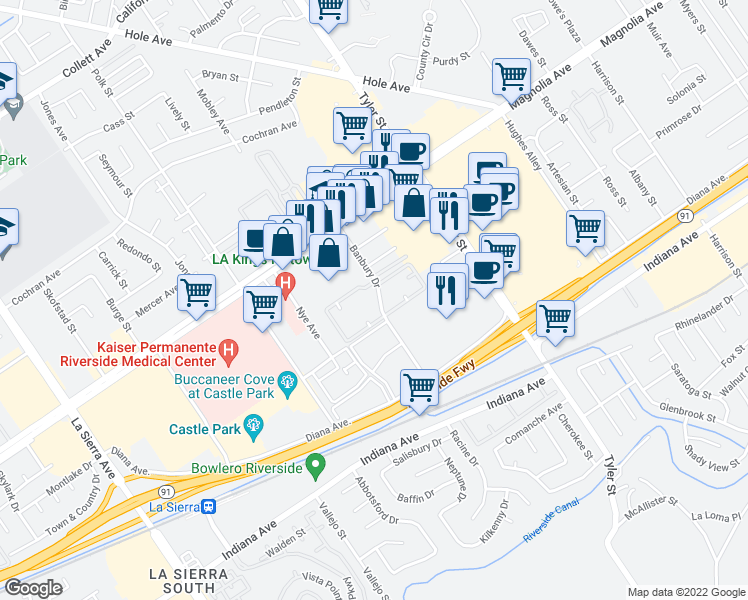 3610 Banbury Drive is a 18 minute walk from the 91/PVL 91/Perris Valley Line and the Inland Empire - OC at the Riverside-La Sierra Metrolink Station stop. This location is in the La Sierra neighborhood in Riverside. Nearby parks include Collett Park, Myra Lynn Park and Harrison Park. Explore how far you can travel by car, bus, bike and foot from 3610 Banbury Drive. 3610 Banbury Drive has some transit which means a few nearby public transportation options. 3610 Banbury Drive is in the La Sierra neighborhood. La Sierra is the 5th most walkable neighborhood in Riverside with a neighborhood Walk Score of 49.